Getting there: what factors do we need to consider in a transport strategy? File photo. The Canberra community has always had a keen interest in the planning and development decisions that are shaping our city. On the discussion of transport, the topic has been dominated by light rail. This discussion can now determine policy, with the community being invited to contribute to the development of a new transport strategy for the ACT. Just before the Christmas break, the ACT Government released a discussion paper around the city’s future planning around transport. There are big issues to address, including sustainability, liveability and technological change. Given all this, it’s important we ensure the development of a viable transport strategy is achieved through an integrated approach. Future transport planning will need to contribute to the ACT Government’s vision of becoming a more sustainable city. We know that after energy, transport contributes most to our local carbon emissions. We will need to reduce the environmental impact of our travel as part of our transition to a carbon neutral future. This is no doubt one of the reasons that the proposed strategy introduces a hierarchy of travel modes to guide the strategy. This proposed hierarchy is pretty different to our current habits. It places pedestrian travel at the top of the hierarchy and private cars at the bottom. Cycling is high up in the hierarchy. Public transport is also acknowledged as an important part of the transport mix. This means we all need to change how we get around. The 2017 travel survey found that regardless of the purpose of our travel, we are overwhelmingly still opting for the private car to get around. The significant growth in our population is also going to impact how we get around our city. We love the liveability of our city. Many of us are thankful that we don’t have to deal with the long commuter travel times that our bigger city counterparts have to endure. However, as we grow, it is clear that we will need different transport solutions. The need for new mass transit options was one of the reasons to invest in light rail. However, with the full rollout of light rail across the city decades away, the bus network will continue to be an important part of our transport infrastructure. Planners have been struggling for years to encourage greater use of public transport with about 7 per cent of people travelling on buses to work currently. This strategy will need to continue to encourage people onto public transport. Liveability and safety may also influence our choices about how we use our transport infrastructure. A change that has been introduced over time has been a lowering of the speed limit in suburbs. The discussion paper tests support for an expansion of strategies such as this. Current directions in transport planning are clearly being influenced by the concept of a ‘hub-and-spoke model’ of transport. This means that people are “directed into key transport corridors to connect with town centres”. This is vastly different to the ‘point-to-point’ model of travel that we are so used to in Canberra – where we get in our cars and drive directly to the point we wish to end up. While there has been a discussion of this for light rail, I have not fully grasped how this approach is influencing other parts of our transport network. I live in a suburb close to the light rail corridor, and where options such as cycling and walking to the city centre are possible. As such, I can see how this might work for much of my travel. There are challenges however in dealing with multiple interchanges and different modalities of travel for every trip. My household is pretty typical in how it juggles travel demands. We need to deal with multiple workplaces and destinations, multiple purposes for travel, and shuffling children across the city for care, school, and sport over the full week. We need to have reliability, frequency, and flexibility in our transport options. This means for us, private car use often continues to be the only option. We are seeing major changes in technology that mean there will be new opportunities in the future. It’s telling to reflect on the last ACT transport strategy – released in 2012. At the time, we used the term uber to describe something big. In 2012, automated vehicles and delivery drones were still largely in the domain of science fiction. All these are now pretty mainstream, if not contentious. Any future strategy needs to have an element of flexibility to respond to new opportunities and challenges. We also need to factor in changing lifestyles and work expectations. Already technology has opened up opportunities for remote work. This can impact on work patterns and reduce the need to travel at peak times. I think that this process provides us with a good opportunity to reflect on our own travel habits. We also have the chance to contribute our suggestions to improve travel in Canberra. What do you think are key strategies that will improve our transport in the future? The discussion paper is available via the your say website. Public submissions can be provided until 8 March 2019. What has become obvious, around the world, is that adding more lanes to roads or building additional roads will not reduce peak-hour congestion, unless the extra lanes are exclusively for buses or other mass transit vehicles. Adding lanes is like letting out your belt and calling this a weight-loss program. If congestion falls it only encourages more people to abandon mass public transit and get back in their car (see Los Angeles). Road congestion is a constant, so we need better mass transit. Mass transit systems need to be grade-separated from other vehicle traffic to achieve attractive journey times and minimise disruption to cross-traffic . 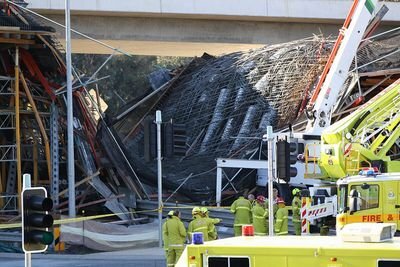 This is usually done by building rail underground or elevated (Metro rail in Sydney and Melbourne), and sometimes elevating buses (Adelaide 0-Bahn). Where buses or rail are forced to share ground-level they need dedicated lanes and traffic signals giving over-riding priority (Traffic Signal Priority) at most times (Sydney, Brisbane and Los Angeles). But we have to recognise that without congestion no one would use public transit. The “light rail” is about urban renewal and it has nothing to do with public transport. In the context of a “new” transport strategy, sustainability and liveability (livability?) are just weasel words. The move to a Hub and Spoke model explained in the Canberra Transport plan is a furphy and a great example of a simple diagram hiding the on the ground complexity of the new strategy being implemented. Under the new 2019 bus system, My step mother in Kambah, will now have to go backwards from her destination to Weston Creek Bus Station, then to Woden Bus Station and then to Civic. Not directly into the hub and back out to the destination as the simplified diagram shows. It’s time we Canberrans were given open and honest transport data and realistic public transport strategies, not glossy marketing magazines full of exciting promises dressed up as an ‘Integrated Transport Strategy’. Come on Transport Minister, start being honest and open with your constituents. Sorry bj_act but you wrong. Your step mother will be able to get on a direct bus from Weston Creek to civic under the new arrangements. 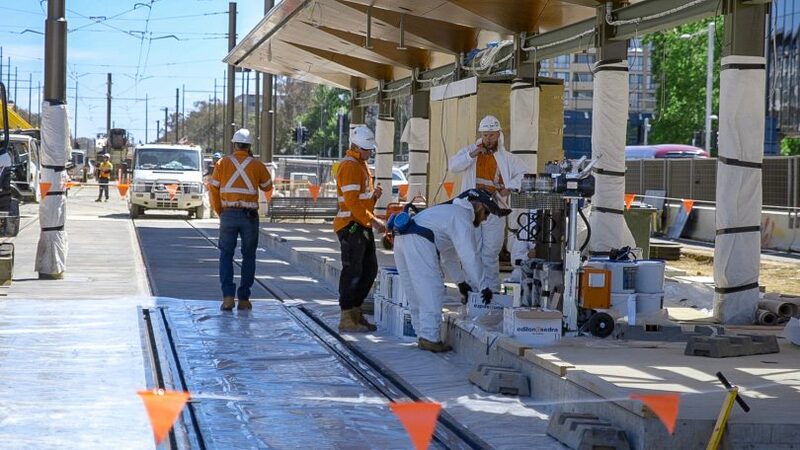 But you should worry about her safety at the new Weston Creek bus station – if she isn’t run over crossing the road a trip hazard will probably get her – it is worth a look at how bad it is going to be. Think we have been through this before, but why does your step mother have to go to Weston Creek and Woden when there is a direct express from Weston Creek. And I know this discussion has been done to death before but thinking outside of the usual interchange points is the key to the new bus network. Sorry guys, yes should have explained it better as she has to go to Woden as often as Civic. But are you guys trying to defend that running people from Tuggeranong via Weston Creek and/or Woden is a simple Hub model? Everyone agrees that removing the Kambah Buses from using the Tuggeranong parkway slows down the trip with much farther distances and much more stops, that is the point I’m trying to make. Curtin and Narrabundah are just some of the other Losing suburbs in the new plan.